The Federal Cloud Center of Excellence’s (CCOE) draft C.A.S.T.L.E guide on cloud acquisition aligns well with the White House’s IT Modernization Report. 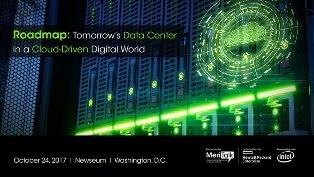 The American Technology Council (ATC), which wrote the IT Modernization Report, wants to “bring the cloud to the government” and “bring the government to the cloud,” by using both cloud infrastructure designed for consumers and cloud infrastructure designed specifically for the government. The CCOE’s Cloud Adoption Survival, Tips, Lessons Learned, and Experiences (C.A.S.T.L.E.) Guide provides scenarios for each stage in the cloud acquisition process. Agencies can follow the guide by finding the scenario that fits their situation the best and completing the recommended steps. The guide provides scenarios for agencies that need to inventory existing IT infrastructure, conduct assessments, prepare applications for migration, plan for support services, or just need a cloud service provider. An agency that is further along in the process can skip certain steps to find the scenario that best fits its needs. The goal of the C.A.S.T.L.E guide is to provide agencies with best practices shared by agencies that have completed or are in the process of migrating to the cloud. Agencies participating in the CCOE are sharing information found through their journeys to assist the Federal government as a whole in wider and more scalable cloud adoption. “If [agencies] are figuring it out all on their own and doing it slightly differently, that’s a huge missed opportunity,” Azeem said. The CCOE is a group of technology leaders from various agencies including the General Services Administration (GSA), Department of Agriculture (USDA), Department of Homeland Security (DHS), the Federal Communications Commission (FCC), and the Department of Veterans Affairs (VA). The group consists of cloud subject matter experts who are involved in or have completed several cloud projects across the Federal government. The cloud guide focuses specifically on acquisition, but the group plans to release guidance on other challenges in the future. The cloud acquisition process can be challenging because of the different pricing and billing models that many Federal employees aren’t used to working with. The cloud procurement process mandates awareness from different parts of the agencies, including the leadership. Azeem said that the money saved from migrating to the cloud can be used on other previously underfunded IT issues with significant cumulative technical debt, such as customer experience. Since agencies will be able to relinquish focus from maintaining physical infrastructure, IT professionals can focus on making Federal systems and websites more user-friendly, secure, and accessible. CCOE is hosting an event on Sept. 26 at USDA for government and industry employees to provide feedback and learn more about its cloud acquisition guide.